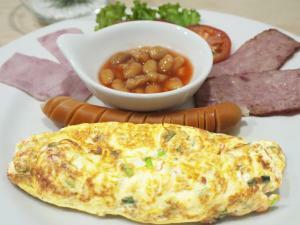 Offering an on-site restaurant and bar, Gemma Sukhumvit is located in Bangkok. Free WiFi access is available. Each room here will provide you with a flat-screen TV, air conditioning and a seating area. There is also a refrigerator and a safety deposit box. The private bathroom comes with a shower. 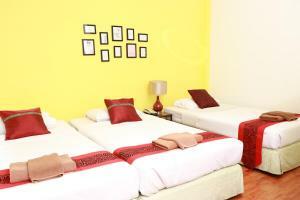 At Gemma Sukhumvit you will find entertainment staff and a daily maid service. Situate a minutes' walk from Nana BTS Skytrain Station, the property is 200 metres from Arab Street and a 10-minute walk from Terminal 21 Shopping Mall. Suvarnabhumi International Airport is 22 km away. Rate: THB 621.00 ... THB 2850.00; select dates below to get current rates.